Coming just 5 days after the Jordan 11/12 CDP, Jordan Brand will be releasing the Jordan Spizike “Cool Grey” on December 31, 2008. 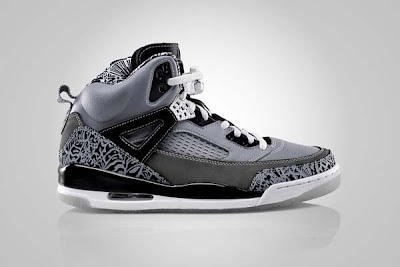 This particular Jordan Spizike features a “Cool Grey” nubuck upper. If you cannot wait that long we have spotted them over at eBay. High price and currency exchange caused these to sell on eBay for $300-$400. If you recall, this sneaker was first released exclusively in Europe; therefore many have been waiting for them to drop in the U.S.